By shopping at our store you not only support the podcast but allow us to provide more and better special content in the future to encourage and edify. 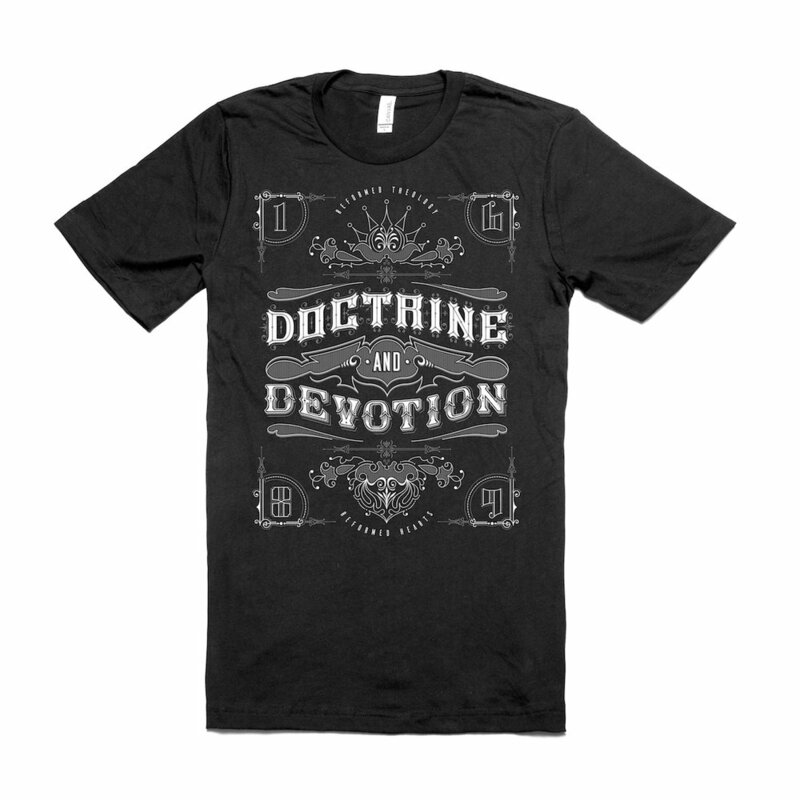 You can now pre-order the official 2016 Doctrine and Devotion tee shirt designed by Anthony Benedetto. We have both men's and women's tees available. Our first featured video content includes 3 sessions (totaling over 90 minutes) with Joe, Jimmy and Dr. Ed Stetzer as they talk through the hindrances, encouragements, and methods of evangelism.